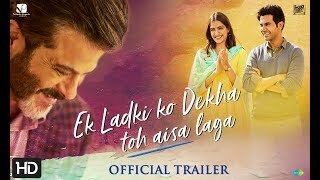 Discover Indian Cinema: EK LADKI KO DEKHA TOH AISA LAGA at The Avon. The title of this new Hindi-language film from director Shelly Chopra Dhar translates as “How I Felt When I Saw a Girl”. This coming of age story follows Sweety (Award-winning actress Sonam Kapoor), a young woman who is hiding a secret from her family. She contends with her over-enthusiastic family that wants to get her married, and a young writer who is completely smitten by her, as she begins to face the fact that that her true love might not find acceptance in her family and society. Resolving these issues proves hilarious, touching and life changing.